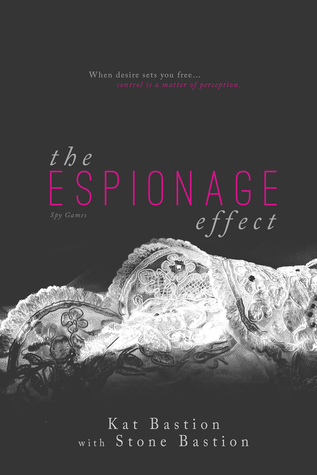 Quite frankly, The Espionage Effect might be the best thing I've read so far this summer. They all saw what they wanted to see: the next Einstein or Gates - their finely honed world destroyer, or potential economic rainmaker. All my life, I'd portrayed the two-dimensional genius I wanted them to see. Devin Hill is simply fascinating. For all her booksmarts, she's completely grounded in reality. She isn't socially awkward or unfeeling. She has passions and a haunted past which guides her. Devin's character really made this book for me. Her first person POV drives the narrative and it was an absolute joy to join her on this adventure. Devin Hill is a genius. Literally. Her superhuman IQ and eidetic memory have meant a lifetime of learning and expanding her abilities. She's currently studying nuclear physics, but she has expert knowledge in the fields of Biology and Astrophysics as well. She's been groomed for greatness, and the pressure is stifling. The spur of the moment decision to take Christmas vacation at a beach resort with her best friend leads her on an adventure she couldn't have imagined. In the murky starless sky of my existence, he'd become an unexpected beacon, drawing me in without even so much as the promise of light. Hello 'Tall Dark and brooding!' Alec was a beautifully written enigmatic character - Much like Devin, the reader is swept away in the mystery which surrounds this spy and we're thankful for every tidbit of information fed to us. Alec literally crashes into Devin's life and her world is changed forever. Alec is a spy working for a secret international organization, and his mission is exactly the kind of adventure Devin wants to embark on. - Playing vacation lovers provides the perfect cover while Alec is on his mission. - Devin's skills of deduction and eidetic memory are invaluable investigative tools. - Devin has her first taste of freedom and adventure while helping Alec on his mission, and she's not going to give up that feeling easily. She was born to be a spy. "You can't get more cloak-and-dagger than black ops. There are not degrees of obscurity." "Ahhh, but there are, Devin." His voice softened, deepening into a rich silk that caressed, mesmerized. "When no one knows we exist but hose who work for us. When membership means becoming a shadow, permanently. When we fly under the radar but out in plain sight for all to overlook. We're the whisper of air that chases what goes bump in the night." It's difficult to go much further without being spoiler-y, and you should really enjoy all the twists and turns in this story as the author intended. The blossoming romance between Devin and Alec perfectly balances the action and suspense. This story was endlessly entertaining, and I can't recommend it enough! 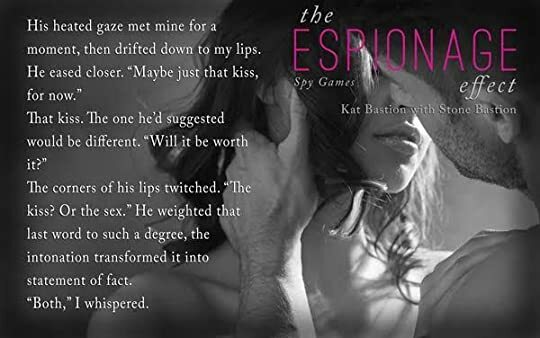 Sign into Goodreads to see if any of your friends have read The Espionage Effect.